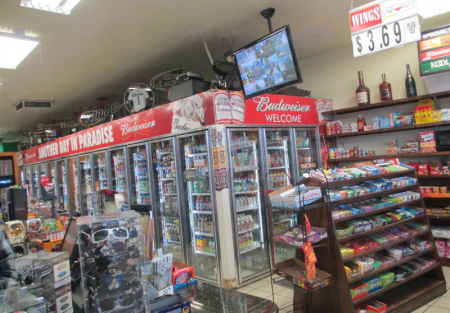 * This is an established liquor store in Fresno - Fresno County. * This liquor store is situated on the busy road of the town. * Store gross sales recently has been upto $35,000 per month average estimated with good profit margin, as per owner (broker has not verified this gross sales number so buyer should investigate independently). * The sale included furniture, fixtures, and equipment owned by owner with ABC hard liquor license. * The store has 16 door walk-in cooler with big storage area for extra beverages. * Base rent is about $2000 per month approx., compared to other liquor stores. * Buyer may get a long lease from the landlord with acceptable terms to both parties. * Owner may finance the sale for qualified buyer with above mentioned down payment.